Dove season opens September 1 and hunters need to know about important changes recently made to the regulations. One change adds more hunting opportunities in the Tucson area and another closes off some popular hunting locations in the Phoenix metropolitan area. One important change involves the Phoenix metropolitan area, Unit 25M, where some populated areas are now closed to hunting. 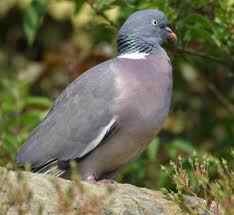 There is a detailed description of the new boundaries in Dove Note 17 of the Amended Dove and Band-tailed Pigeon Regulations for 2013-2014 online. A useful map of Arizona Game Management Unit 25M Restricted/Limited Hunting Boundary is posted on the website and ready to download at www.azgfd.gov/dove. Remember, it is your responsibility as a hunter to know the regulations and abide by the rules, no matter how new the changes may be. Now is the time to visit www.azgfd.gov/dove and download your own copy of the amended dove regulations and new maps. You'll also find a quick-guide to shooting hours, new possession limits, license and migratory bird stamp requirements, hunting and mentoring events, mobile-friendly links, dove recipes and great tips to make this your first, best, or most memorable dove season ever.